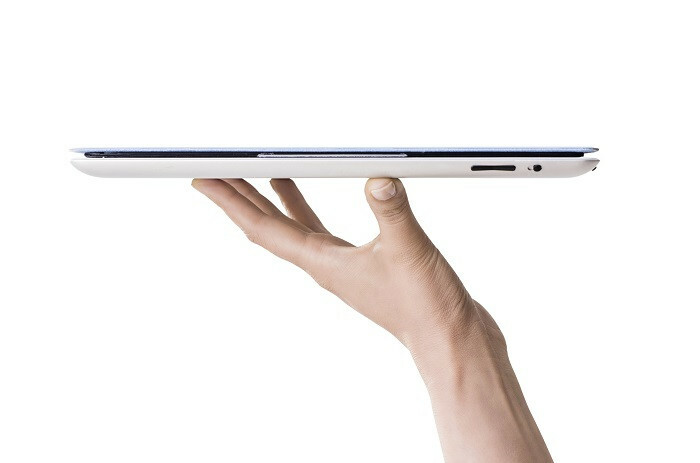 Do you want to use your iPad for everything and leave your laptop at home? Well now you can. 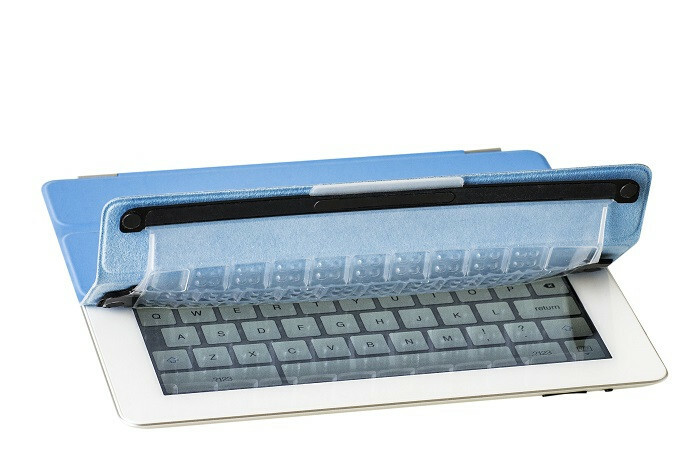 Touchfire is an ultra-thin,transparent keyboard that goes over your iPad's on-screen keyboard. It lets you feel the keys, rest your fingers on the home row, and type like you would on a regular keyboard. You can even type without looking! It's comfortable, fast and accurate. 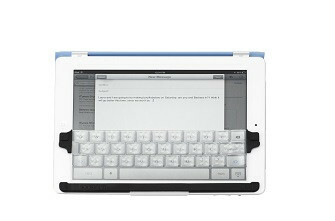 Touchfire attaches to your iPad magnetically, and gets out of the way instantly when you want to use the full screen. It even attaches magnetically to your iPad's cover and rolls up when you want to watch a video. It's always with you, but never in the way! 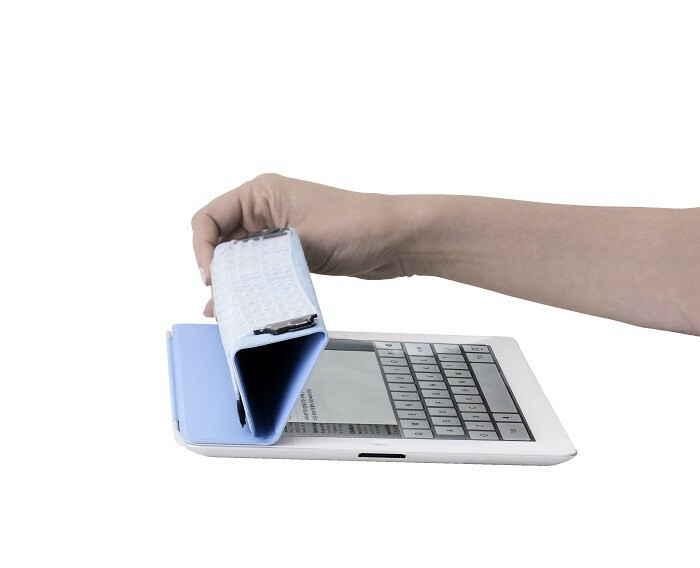 It also comes with its own slim storage case for when you want to store it off your iPad. Touchfire is as revolutionary as when cell phones started to have built-in cameras. 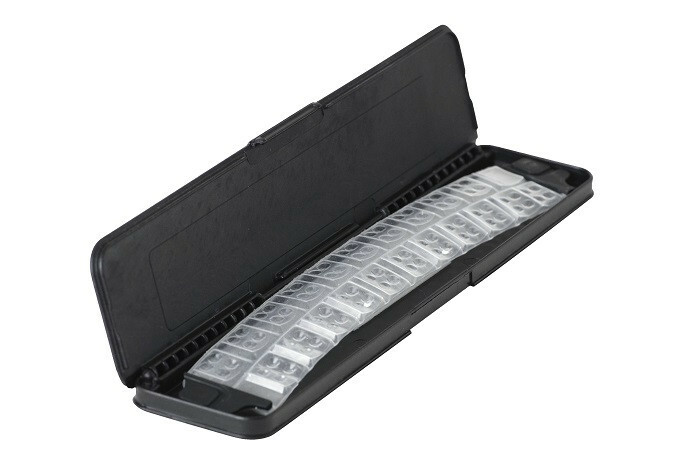 Whether you type all day or only occasionally need to reply to an email, Touchfire will always be there without adding noticeable bulk or weight. Note: Touchfire is not compatible with iPad screen protectors. Using Touchfire with Voiceover, you no longer need to swipe across the keyboard in order to find a key most of the time. You can simply type the next character by feel, just as you would on a regular keyboard. You get Voiceover’s acknowledgment of the key just hit, and all the Voiceover hints about spelling correction, etc. Touchfire does allow you to swipe through it, so it is still possible to slide over and get to the correct key if you make a mistake. This alone is a big improvement. 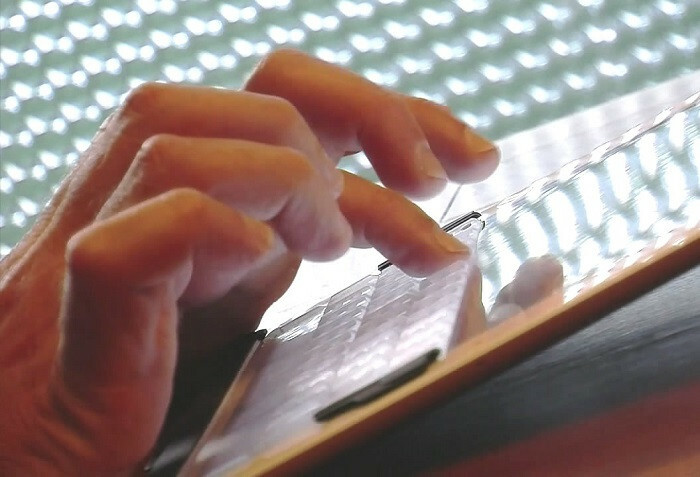 However, we saw that after using Touchfire for a while many visually impaired people simply turned Voiceover off when typing. They could then type much, much faster - basically at the same speed as touch-typing on a laptop. Some of them turn the Keyboard Clicks sound on so they would still get audio confirmation of key strikes; some wouldn’t even bother with that. They would then turn Voiceover back on after finishing a paragraph or even an entire document, just for proof-reading. The net result was that after a bit of practice, a visually impaired person with Touchfire was entering information 10X faster than using Voiceover without Touchfire. Not to mention that their use of the iPad was a much more enjoyable and satisfying experience. Another small but important characteristic of Touchfire is that it is very easy to flip it off the screen when you don’t want to type, and flip it back on when you want to type again. 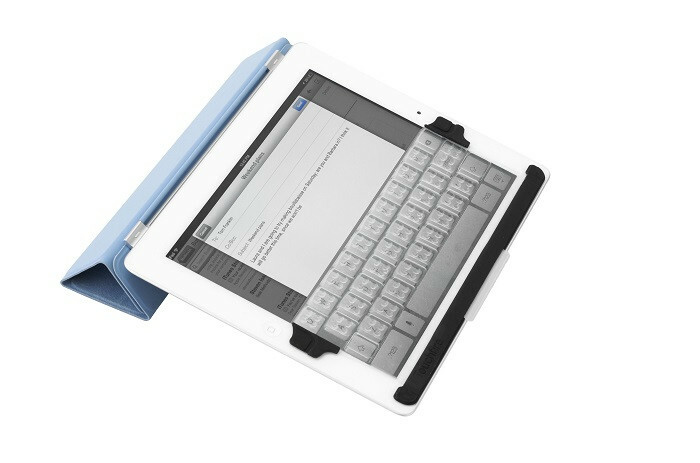 Touchfire remains attaches to the iPad magnetically the whole time, so it is always readily accessible.